Becoming a PADI Open Water diver is your first step to experiencing the underwater world. PADI the Professional Association of Diving Instructors is the most recognized dive training organization in the world, as well as being one of the longest running. Thousands upon thousands of divers have started right here, with the PADI Open Water Course. The course started as a way of teaching people to dive safely with the maximum amount of enjoyment. PADI adapts its courses continuously to stay up to date with current research and development. At the end of the course you will be qualified to go diving independently with a dive buddy, to a depth of 18 meters. Open water dives, where everything comes together and we take you diving and practically apply your skills and your knowledge. Your PADI dive instructor will focus on making sure that you have mastered the skills and the knowledge required to scuba dive safely. The pace is set by you until you are comfortable with the skills and theory. You will receive your open water manual, as well as the PADI Open Water Diver movies for you to read and work through the five chapters in the comfort of your own home. At the end of the chapter you will complete the knowledge review. In a theory session with your instructor, you will discuss each chapter and answer any questions you might have. After the knowledge reviews have been discussed, you will continue on to the quiz section where you will complete four multiple choice quizzes on the chapters. After completing the quizzes, we will move on to the final exam, which consists of 50 multiple choice questions. The PADI Open Water Course has 5 confined open water dives. In these dives, we practice basic diving skills and safety procedures, to make sure that when we get to the open water dives, you have a good solid foundation to work from. Each dive builds up on the previous dive and it is usually a lot of fun to breathe underwater and get familiar with the new gear and skills. The PADI Open Water Course has 4 Open Water dives. Each dive will require you to master certain skills. These will have previously been practiced in the pool sessions. This shows us that you have in fact mastered the relevant skills in order to be qualified as a PADI Open Water Diver. The last dive we will be doing, will be off a boat to dive with the Cape Fur Seals. 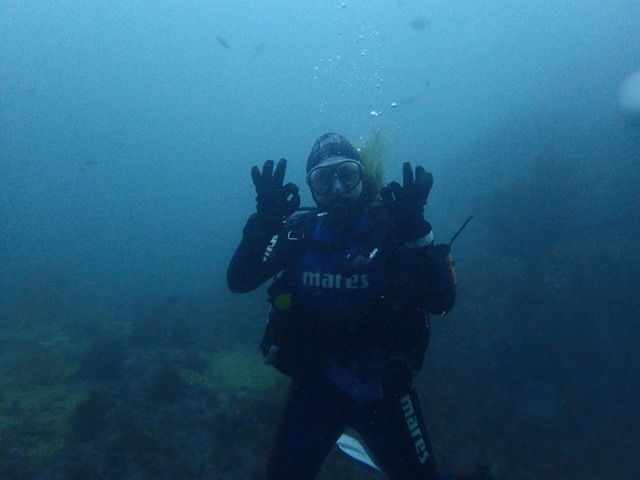 Everyone always enjoys the Open Water diving portion of their course the most, as this is where students really get to enjoy being submerged in the amazing world below the surface. The PADI Open Water course is usually run over 4-5 days. We include 1 boat dive and 3 shore entries. We will complete the knowledge development sections before the relevant dives. Your instructor will work out a schedule, specific to you, to suit your needs. The Deluxe Open Water course consists of five days with some extra sessions like Marine life orientation and equipment maintenance session included as well as extra dives. combine your PADI Open Water Course with a PADI Specialty course.